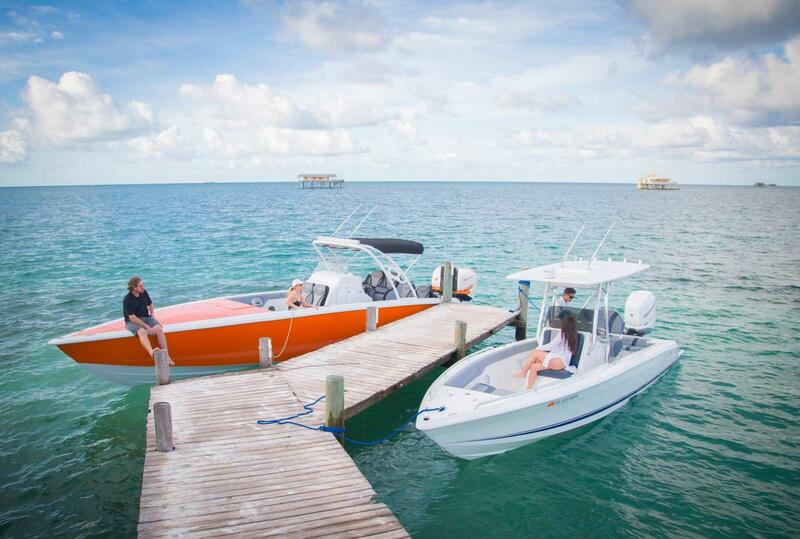 The performance of the 27 Open Deck Series has to be experienced to be believed. 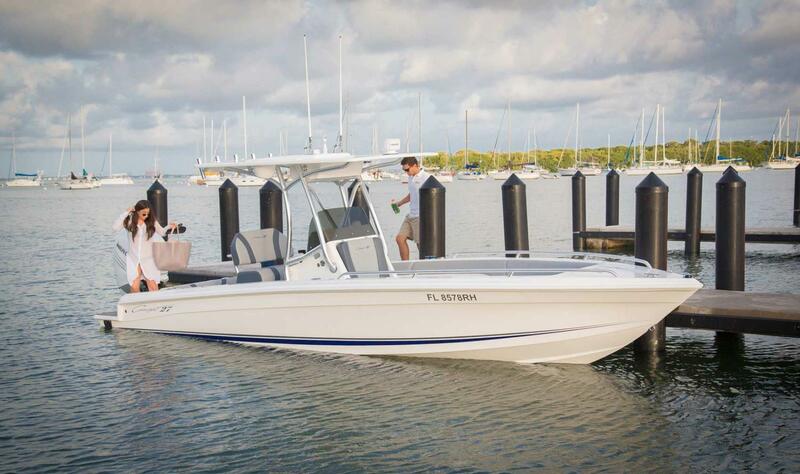 Powered by a single outboard, its light weight hull is dually suited for performance boating with family and friends or the occasional offshore fishing excursion. 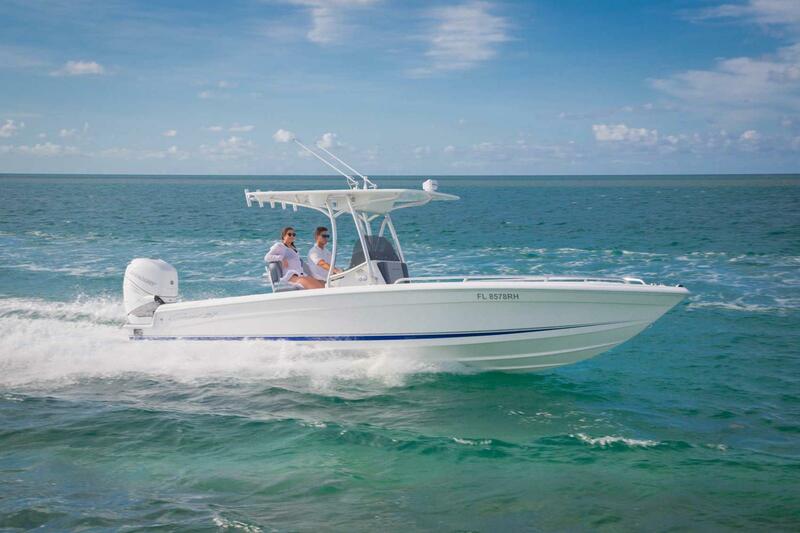 Superior handling, maximum performance and a low cost of ownership makes for ear-to-ear grins every time you’re out on the water. 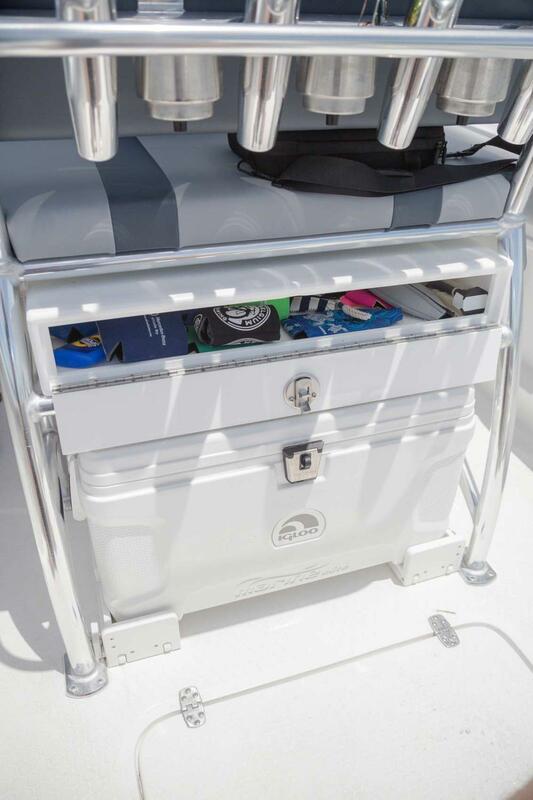 Stylishly appointed and rigged to perfection, the 27 is a solid choice for a best-all-around adventure machine. 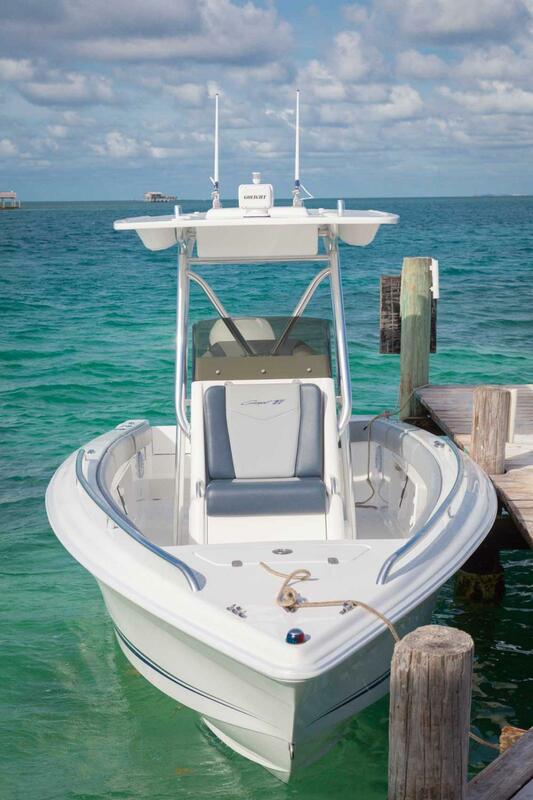 Superior handling and maximum performance with only a single engine means ear-to-ear grins and a low cost of ownership. 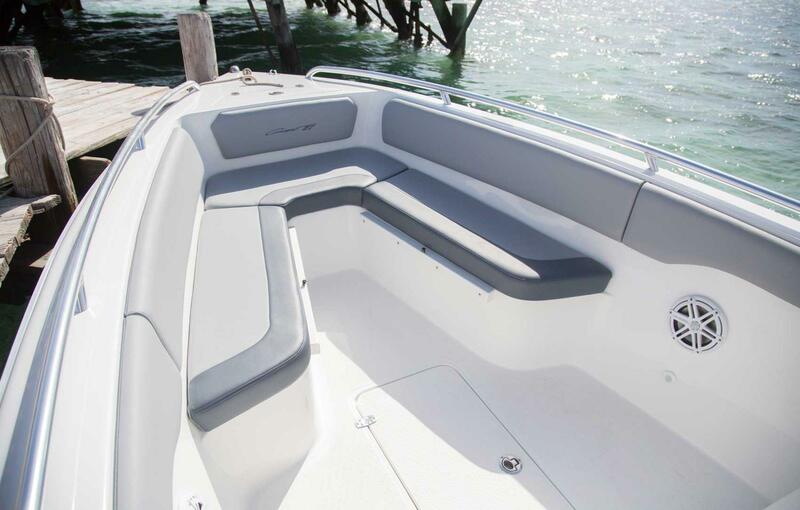 Generous interior space allows for 360-degree movement around the center console. 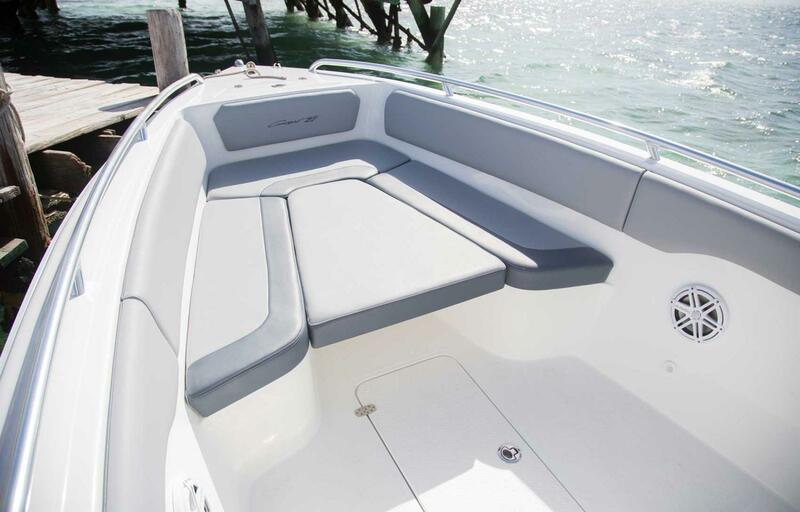 Standard bow and rear seating accommodates up to 8 passengers. 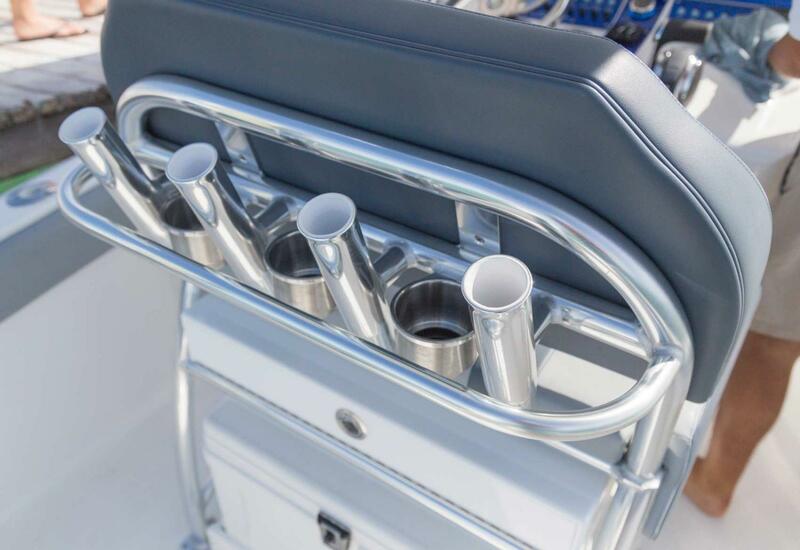 For the more serious angler, the rear seating can be removed to provide more space for fishing. 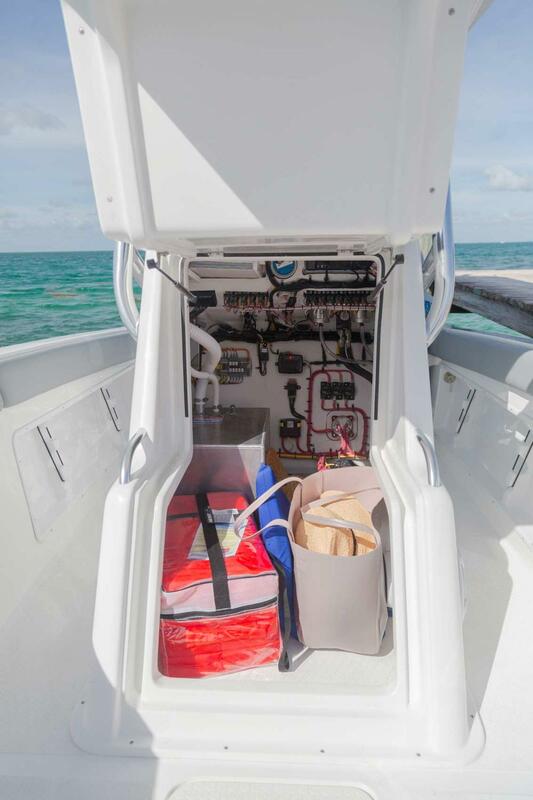 Customize the 27 even more by adding a live well to your helm seat or a fresh water shower system on the transom or console. 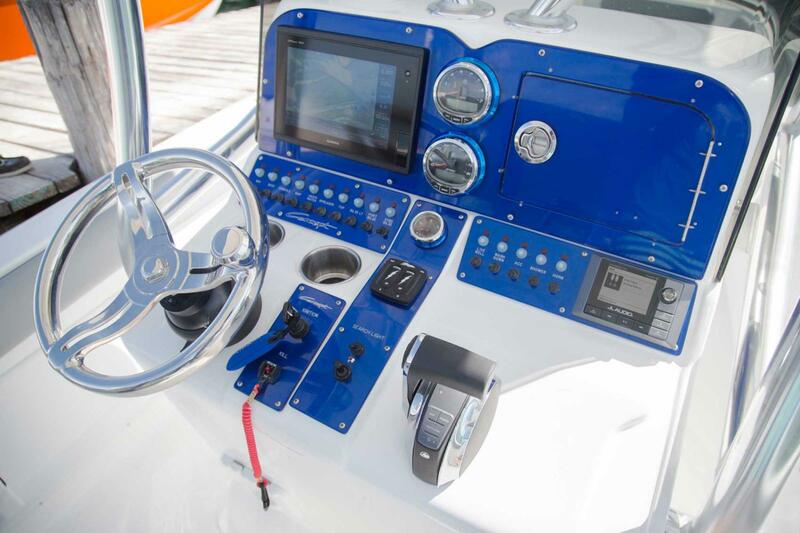 Consider an upgraded sound system for those summer days at the sandbar. 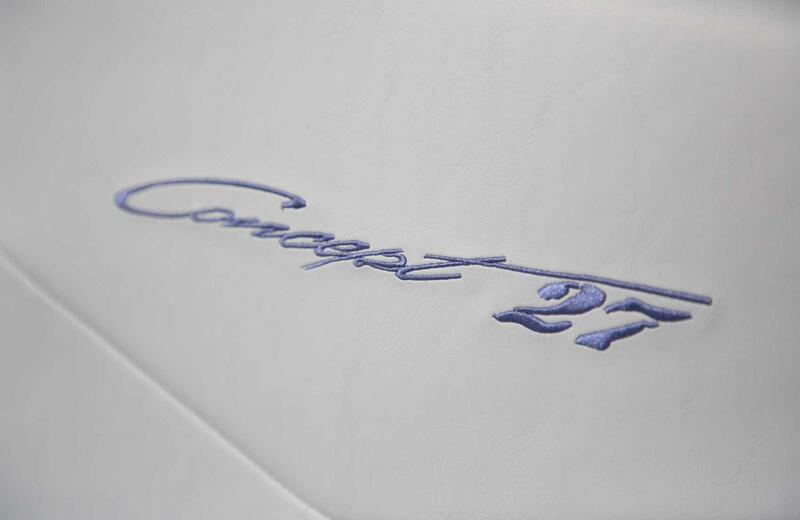 Make your 27 as unique as you are. 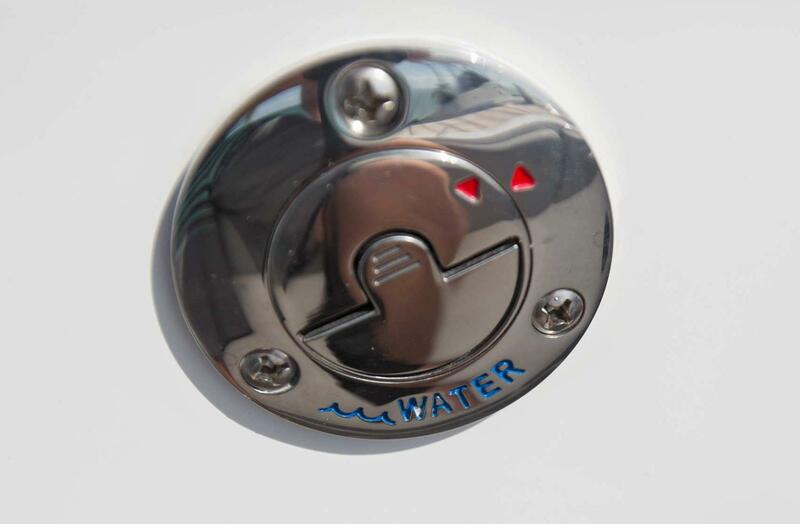 Maximum Outboard Rating 400 H.P.